There are some Sagem Mobile Service Manuals include schematics PDF above. The company was founded in 1985 by the merger of three companies operating in the field of high technologies. At the moment it is the second largest French group in the field of telecommunications (the first in this list is Alcatel (Manuals PDF page)) and the third largest European company for the production of military electronics. Sagem has priority in the development of Internet-fax terminals for the DECT network equipment for wireless access systems. In 1999, sales of the company amounted to 22.4 billion francs, 46.3% of which were obtained by exporting. Sagem - it's about 15,600 jobs, including 7,700 held by the technical and administrative positions. The company has offices in more than twenty countries and manufacturing facilities in Germany, Brazil, Spain, USA and the Czech Republic. Over the past ten years, sales grew from 10.4 (1989) to 22, 4 (1999) billion French francs (x 2.15). The company consists of 3 independent units: Sommunications, Defence and Automotive. 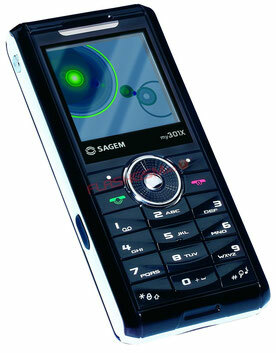 Sagem - leader in the production of mobile phones in France. Their release has been Sommunications unit. The company has a strong position in the GSM and DCS handset market in Europe and the GSM phone market, DCS, and PCS in Asia and America. It conducts research in the field of improvement of the new communication technologies (GRPS, wireless, PDAs, decoders). In addition, this unit provides Sagem strong position in a number of other areas: digital television, wireless communications, and others. Read - WILEYFOX Mobile Phone Manuals PDF & History.